Midtown to Williamsburg, New York City hotels are held to an exceptionally high standard. From the hip and trendy to the iconic and famous (and some with stellar views), here’s where to post up on your next visit to the Big Apple. 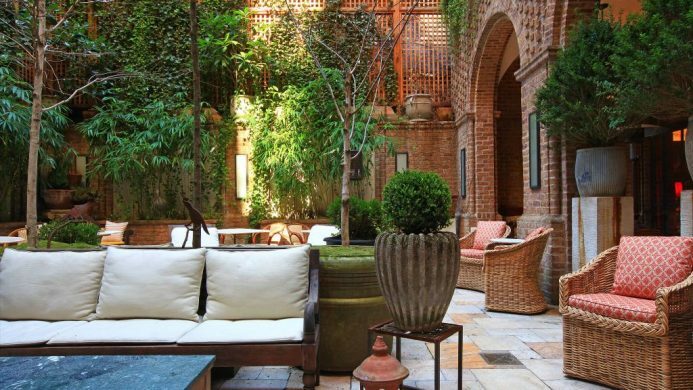 Hip hotels in NYC owe much to their location, and The Wagner is no exception. The hotel is Battery Park-adjacent with readily-available views of the Statue of Liberty and Ellis Island. Walking distance to Wall Street, it also offers easy access to outer boroughs making it ideal for business travelers and visitors who love a dose of history. 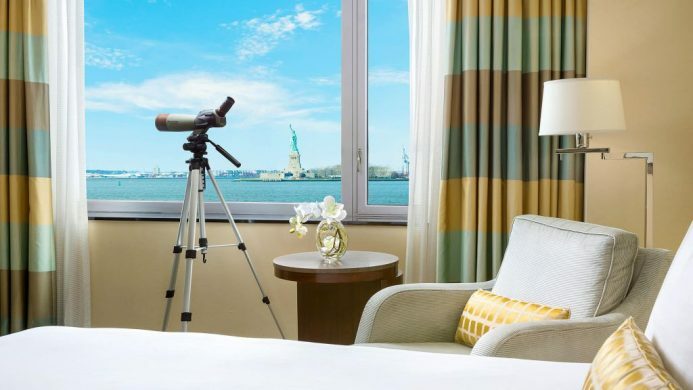 In-room telescopes add a new appreciation of the city’s harbor and skyline. 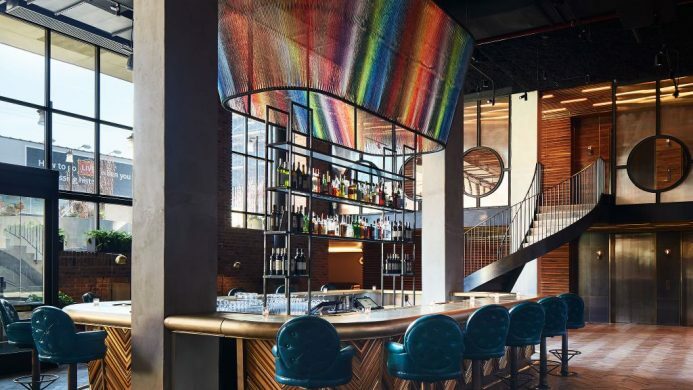 One of the best new hotels in NYC, The Williamsburg Hotel is sure to make Brooklyn loft dreams come true. Surrounded by fashionable boutiques, buzzing restaurants and minimalist cafes, design junkies and creatives will appreciate the cool architecture, 10-foot windows and stylish setting of this outer borough gem. Proximity to craft breweries, art galleries and intimate music venues included. The term “New York Institution,” while used far too liberally, actually applies to The Plaza Hotel. 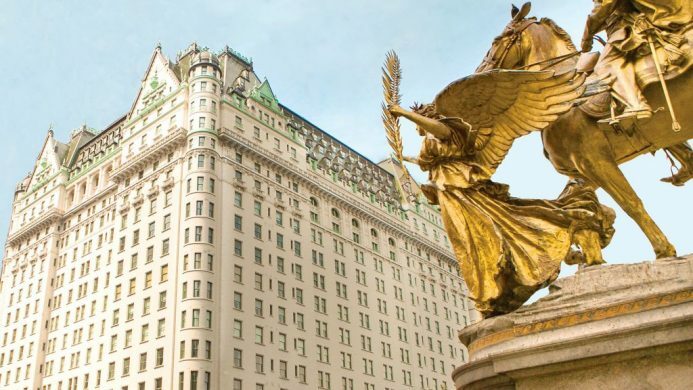 Situated at the south end of Central Park, The Plaza is arguably the most famous hotel in New York, thanks in part to its early founding in 1907 and ongoing starring roles on the silver screen. 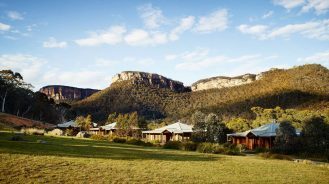 Travelers looking for decadence, history and views of the park would do well to stay at this icon. 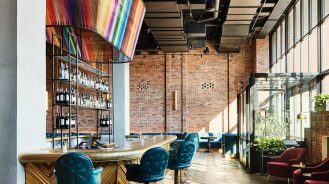 Among the most effortless of all the cool hotels in Manhattan, Andaz Wall Street has a sleek contemporary look and a touch of “money never sleeps.” The Gordon Gekko factor is due to its location in the heart of the Financial District as well as its actual Wall Street address. The minimalist design of the interior encourages focus for the business traveller, without skimping on comfort. 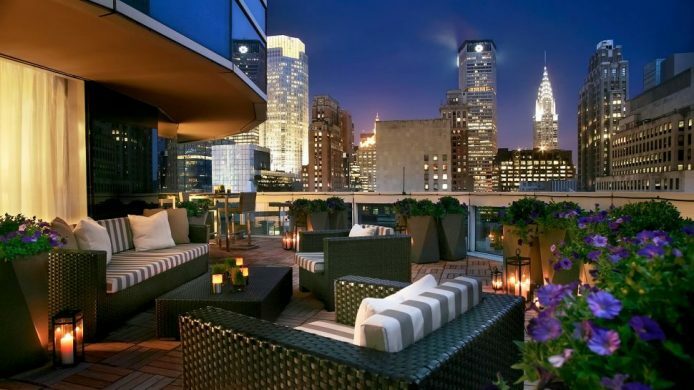 In the never-ending search for hotels with the best views in NYC, Sofitel New York is at the top of the list, and for good reason. Big Apple traditionalists will love the fact that you can actually wave to the Empire State building from an outdoor patio. Its Midtown address puts Rockefeller Center, Times Square, Broadway, art museums, and incredible restaurants right at your feet (not to mention famous luxury shopping on Fifth Avenue). 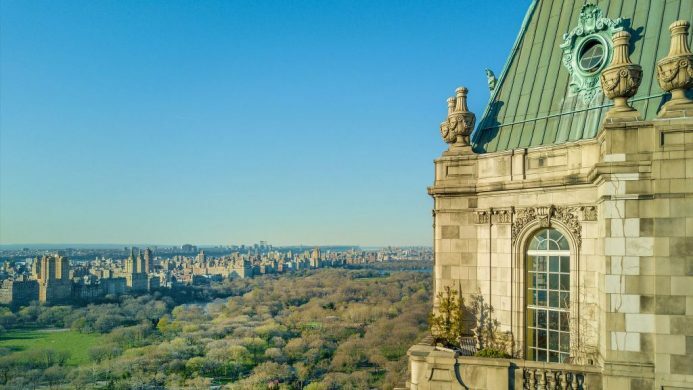 Its prime location overlooking Central Park and iconic architecture make The Pierre not only one of the most famous hotels in New York, but also one of the best (there’s quite the view too). Inside, luxury décor and apartment-style suites reinforce its prestigious Upper East Side address. 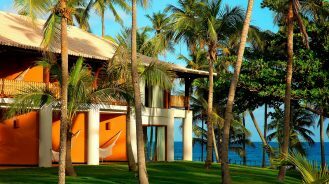 Travellers prone to daydreaming should note that getting lost in the vistas and basking in abundant natural light is inevitable. As far as the trendiest hotels in NYC go, a minimalist aesthetic with just the right amount of polish wins over discerning visitors. At only four years old, the Park Hyatt sits among the top new hotels thanks to its pristine design and luxury loft-like suites. Situated in Midtown on West 57th Street, guests will have quick access to Carnegie Hall, Central Park and Times Square. 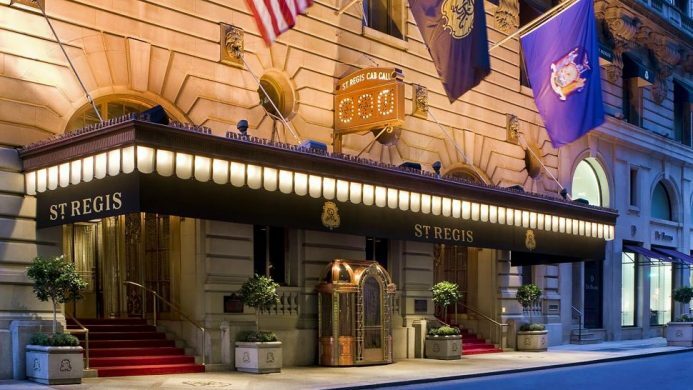 If you’re looking for famous NYC hotels to post up at, a stay at the St. Regis will do nicely. The King Cole Bar is said to have been the birthplace of the Bloody Mary cocktail, something foodies, mixologists and history buffs will certainly appreciate (fun fact: until 1947, the bar called it the “Red Snapper” cocktail). Step out of this Midtown favourite to the Empire State Building, Museum of Modern Art or the shops of Fifth Avenue. Thank Robert De Niro for putting Tribeca on the map, and for posting up the impressive art collection of his late father Robert De Niro Sr. at his co-owned hotel, The Greenwich. 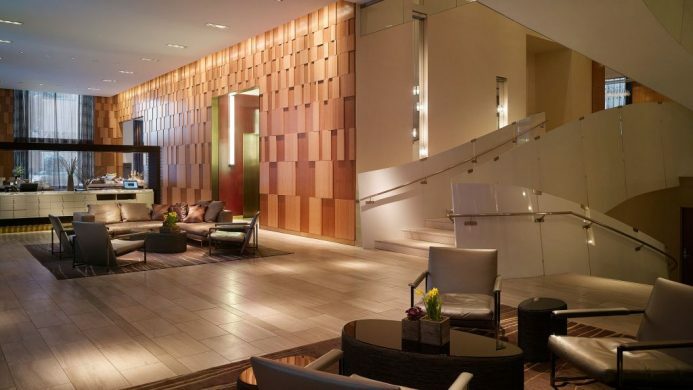 Easily one of the trendiest hotels in NYC, The Greenwich is a true urban oasis that feels like part home living room and part film set, complete with original furnishings in each room and easy access to all of New York’s best attractions. It’s sure to be a favourite amongst film buffs and style cognoscenti.